Much has changed since the last time these two sides met. Back in 2012, Yemen was still safe enough to host matches and Palestine duly made the trip ahead of the 2012 Arab Nations Cup. Since then, things have spiraled out of control for Yemen in both sporting and non-sporting spheres. To travel to neutral Doha- site of their 'home' World Cup qualifiers the team had to board a vessel with other refugees to Djibouti just to exit the country. The harrowing journey left many in the squad suffering from sea-sickness and heat stroke. The results on the pitch- a string of losses- are respectable given that the war in Yemen shows no signs of abating. That said, there is reason for Yemen to be optimistic. An expansion of berths at the 2019 AFC Asian Cup means that there is a decent chance that Yemen could make a serious run at qualifying for the first time since South Yemen qualified for the 1976 finals. In their way stand Nepal (only here due to Kuwait's suspension and Guam's withdrawal), Tajikistan, and Philippines all of whom have never been to an Asian Cup finals. 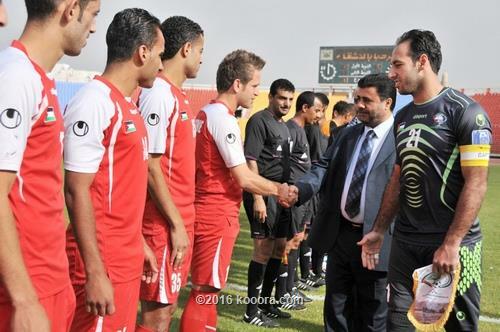 Despite only six wins in the last five years it seems that Yemen have turned a corner. They managed a win against Philippines in World Cup qualifying- their lone win- and then made easy work of Maldives with a pair of 2-0 wins last summer to get into the group stages. It won't be easy, but Yemen's discipline- they bunkered relentlessly in all their World Cup qualifying games- might just see them qualify in a Cinderella story for the ages. Back in the day, the one Yemeni footballer of prominence was the fantastically named Ali Al-Nono. Today, a differently Ali is counted on for goals. 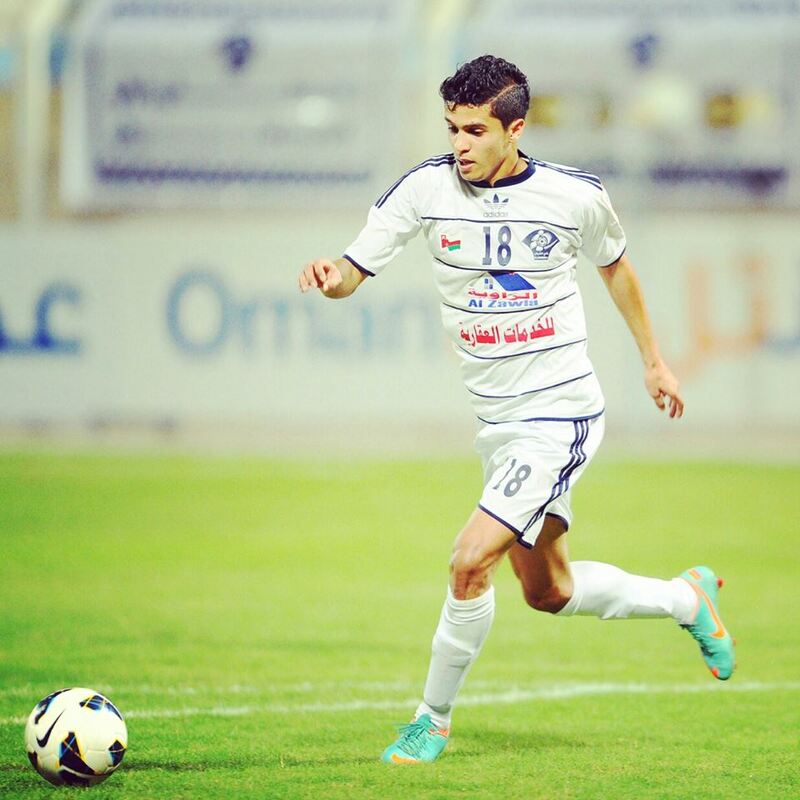 Ayman Al-Hagiri, an attacking midfielder who plies his trade in the Bahraini second tier. Yemen aren't going to go on a goal glut anytime soon but if they are to score it will most likely be due to this man's creativity. An open competition for #1 shirt seems to be settled with Rami Hamadi expected to take the reins from the out of form Toufic Ali who made every start since the Asian Cup encounter against Iraq. Questions are abound elsewhere with no natural replacement to Pablo Tamburrini who is without a club since leaving Shabab Al-Khaleel. This could mean a more attacking player is deployed in his place (Ahmed Maher) or it could be the more box-to-box Mohammed Yameen or Shadi Shaban. On the left, Jonathan Cantillana and Tamer Seyam will fight for a starting spot with both players consistent for both club and country during Barakat's reign. 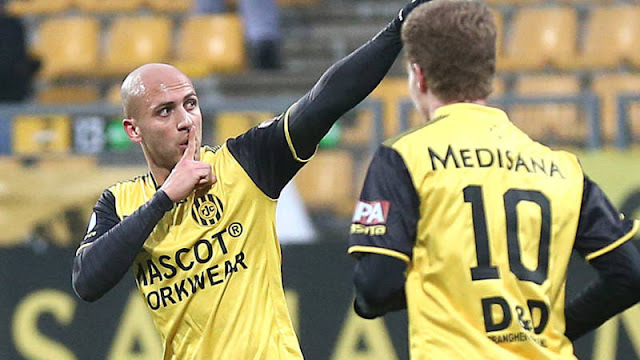 Things are more opaque on the right, the incumbent Sameh Mar'aba will face a challenge from many of the younger players in the squad but could be displaced by the versatile Jaka Ihbeisheh. The biggest battle of all, is at right back were there are simply no ideal solutions. Alexis Norambuena was called back from club-less exile in Chile last week as the form of younger players Mus'ab Battat and Mohammed Saleh was less than convincing in 2016. Jaka Ihbeisheh an adept two way player could start here should Alexis fail to assert himself. 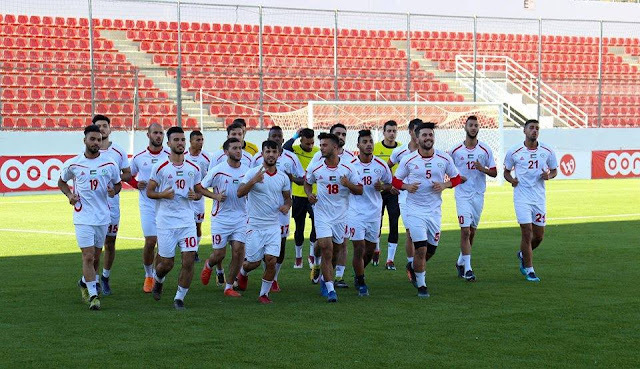 Palestine warmed up for this friendly encounter- their first official match since November 10th, 2016, with a pair of scrimmage games. Palestine emerged victorious by a 3-1 scoreline in both games. First Ahmed Abu Nahyeh and a pair of Shadi Shaban strikes put Palestine over the top against Qatar's military national team. For their part, Yemen lost to the same opposition by a 2-1 scoreline. Earlier today, a friendly against "one of Qatar's military clubs" saw Palestine emerge victorious by the same scoreline. This time the goals came from Haitham Dheeb, Mohamed Natour, and Mahmoud Abu Warda. The most surprising element of this squad are the players who are not here. 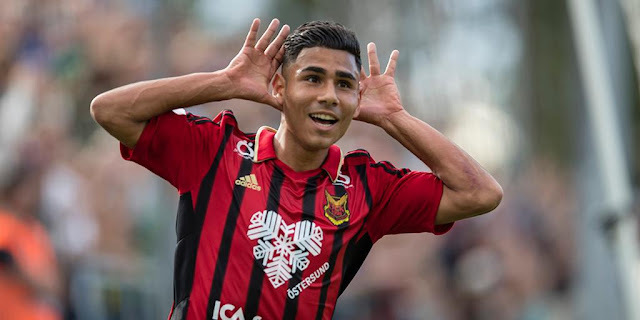 Carlos Salom's registration with the Asian Football Confederation has yet to be processed meaning Palestine will miss the most in-form striker at the moment. In Sweden, Mahmoud Eid and Ahmad Awad are injury scratches; which frees up spots in the midfield for WBPL players to grab. The coaching staff did not extend an invitation to the in-form Imad Zatara whose 12 goals in 16 games with Mesaimeer should have probably warranted more consideration. The promising Islam Batran, out of favor with new Wadi Degla coach Mido was also looked over. Instead, Barakat will make due with only four players plying their trade outside of Palestine: the Malaysian based strike duo of Yashir Pinto Islame and Matías Jadue alongside Jaka Ihbeisheh and Ahmed Maher.